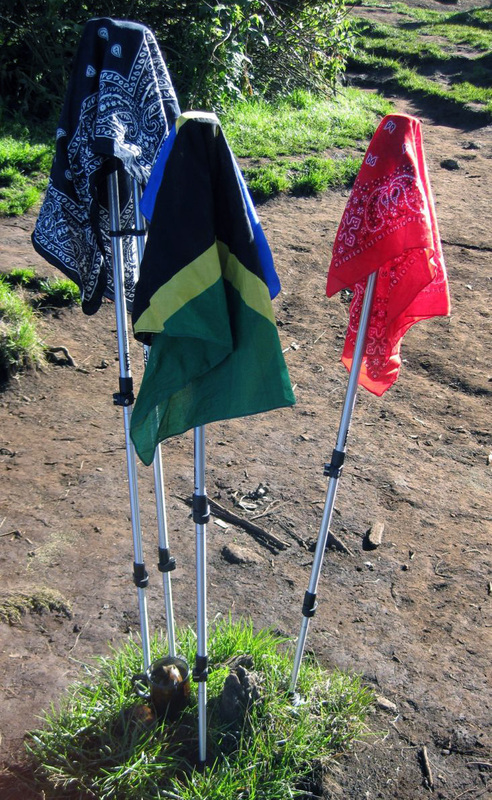 The trekking routes are not technical, so telescopic poles would be the most specialized piece of your equipment. There are rock-climbing options, but normally rock climbing is not a part of the trek, so you will need to arrange it separately or do a custom trip on a more difficult route. Going up you cross all 5 climate zones existing: from tropical to polar. Every day new weather and new terrain. Amazing. While in theory you have to be prepared for any weather imaginable, in practice it is quite easy on your wardrobe. The combination of short-sleeve shirt + long-sleeve shirt + 1 layer of smth warm (like a fleece) + a membrane shell would take care of anything up until the summit push. Add to these hiking shorts / soft shell pants and you are covered. Footwear – I was hiking all the way in SALOMON Elios. Summit push is a whole different matter. Here you need a good down or synthetic parka, as temperature easily goes down to -15 to -25 degrees Celsius (0 and -15 degrees Fahrenheit) and wind chill is common. Very good gloves / hat and warm boots with thick socks and plenty of waggle room. Due to altitude and lack of oxygen you will move very slow, thus being more exposed to cold. Better to overdo it a bit, since you will want to watch the sunrise on the top and that may require some waiting. Oh, and APPLY THICK LAYER OF SUNSCREEN before you depart to the summit. It’s going to feel pretty absurd in the middle of the night, but once the sun has started to rise it gets full frying power in less than an hour. You need to bring just a very small tube, because you mostly travel via rain forest or in the clouds on the other days of the trip.